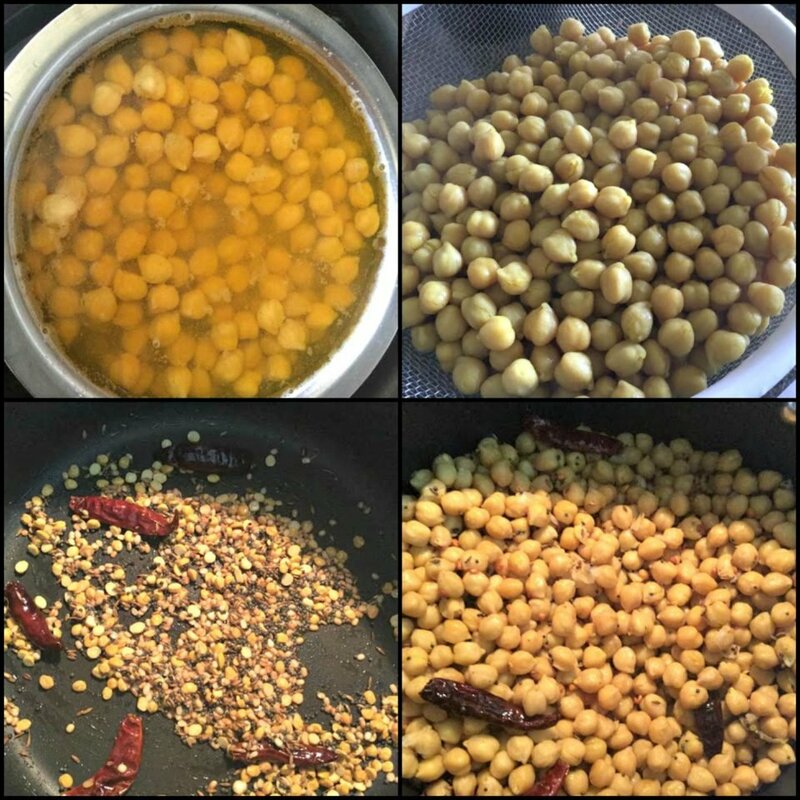 Chickpeas Sundal – A Vegan Snack! 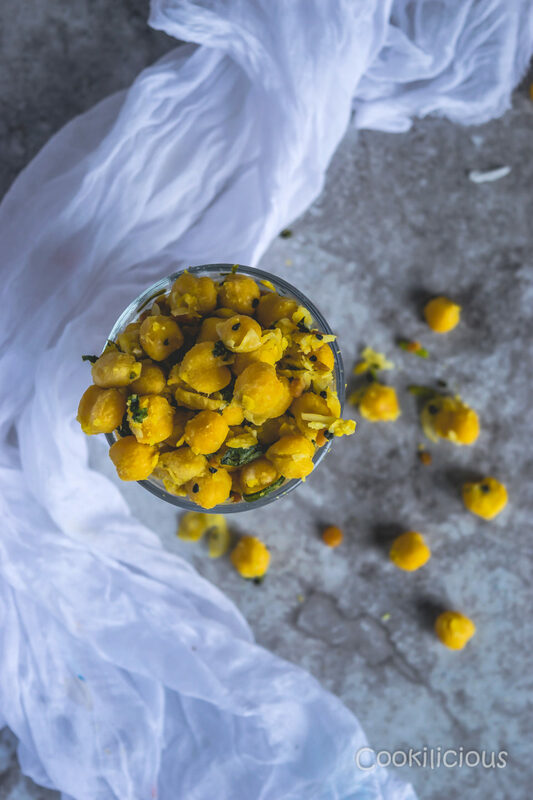 This Chickpeas Sundal is a quick snack mostly served during festivals in South India. You can use other beans or lentils to make this high protein, vegan and gluten-free meal. Ready in just few minutes, sundal will keep you full for a couple of hours. This is a South Indian treat from my kitchen. It is specially made during the Navratri festive season in our households. Sundal as its popularly known, can be made using different legumes, beans and lentils. It is served as an offering to the goddess and then distributed amongst the devotees present. Growing up, me and my brother would look forward to this treat at the end of any temple visit. Somehow it always tastes better inside a temple than at home. But that is the case with any offering to god, it always tastes better. Here is a little trivia for you – There is a temple in South of India called Uppiliappan Temple which has something unique w.r.t to the prasadam offered there. The food made in the temple is made without salt even today. As the legend goes, Venkatesh Balaji God wanted to marry Lakshmi goddess but her father informed him that she is still young and can barely cook food. Balaji being adamant, wanted to marry her still and said, “If your daughter must cook without salt, then I will still take it as my best food, but I will not leave from here without marrying her”. 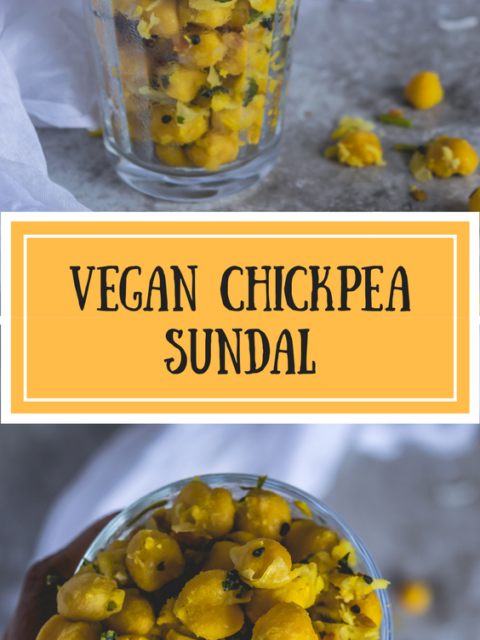 Chickpeas Sundal - A Vegan Snack! 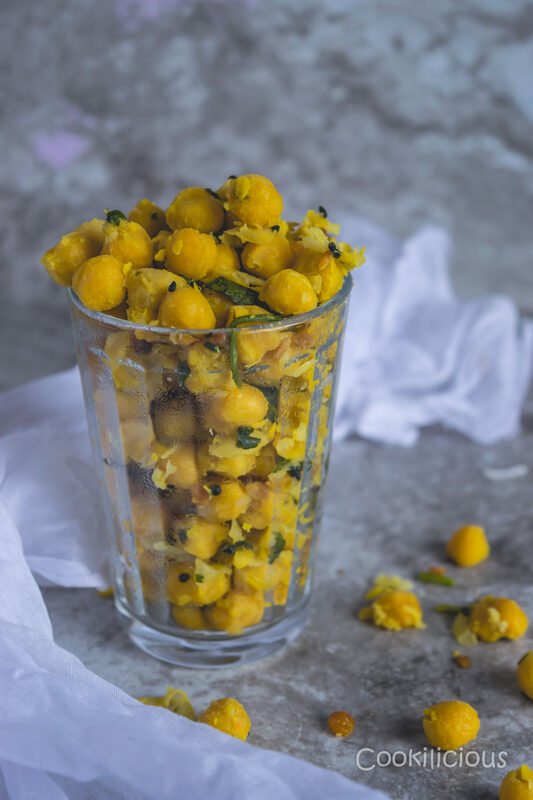 This Chickpeas Sundal is a quick snack mostly served during festivals in South India. You can use other beans or lentils to make this high protein, vegan and gluten-free meal. Ready in just few minutes, this dish will keep you full for a couple of hours. 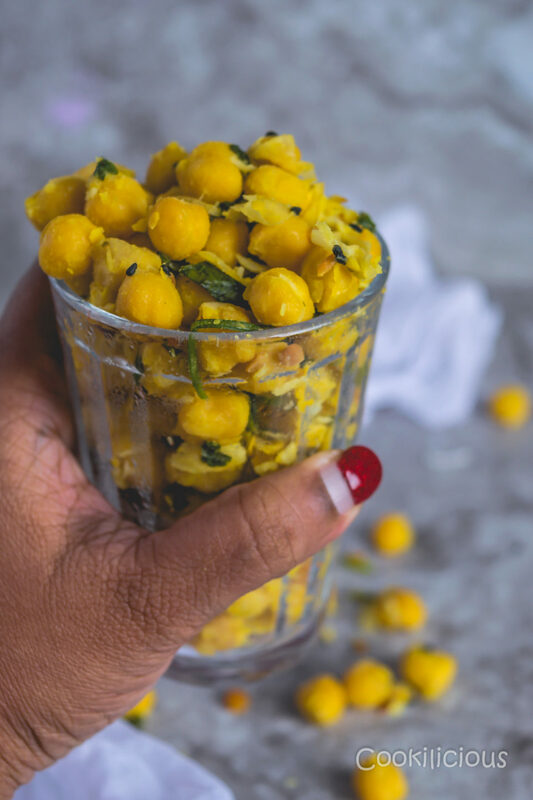 Boil the (soaked overnight) chickpeas in water with salt and turmeric powder or use the canned ones. Cook it for 5-6 whistles in a pressure cooker or crockpot. Do not over cook it as then the chickpeas will be all mushy. Drain the water once done and keep it aside. In a non stick pan, heat the oil, temper the mustard seeds and cumin seeds. Add the kalonji/nigella seeds, chana dal and urad dal. Fry them along with dried red chillies for a minute or two. The lentils need to turn golden in color. Then add the chickpeas. Mix well and cook for another minute. Check and add salt if required. Garnish with cilantro and shredded coconut. Sundal is now ready. Serve them hot or cold as it can be enjoyed either ways. Some other interesting snacks that you can try for yourself are Steamed Bajra Muthiya/Dumplings Snack, Kobichi Vadi | Steamed Cabbage Cakes, Pathrode | Patra | Colcassia Rolls, Beet Leaves Sabudana Wada, Quinoa Paneer Mini Pancakes, Ragda Pattice, Vegetable Frankie, Potato Paneer Kathi Roll/Wrap, Puff Pastry Samosa, Pav Bhaji and Stuffed Potato French Loaf.